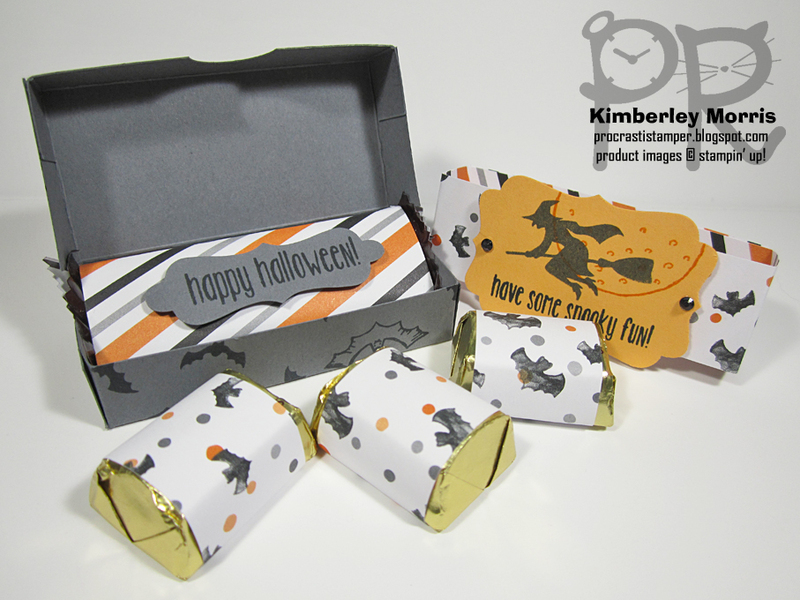 Halloween is coming soon!!! 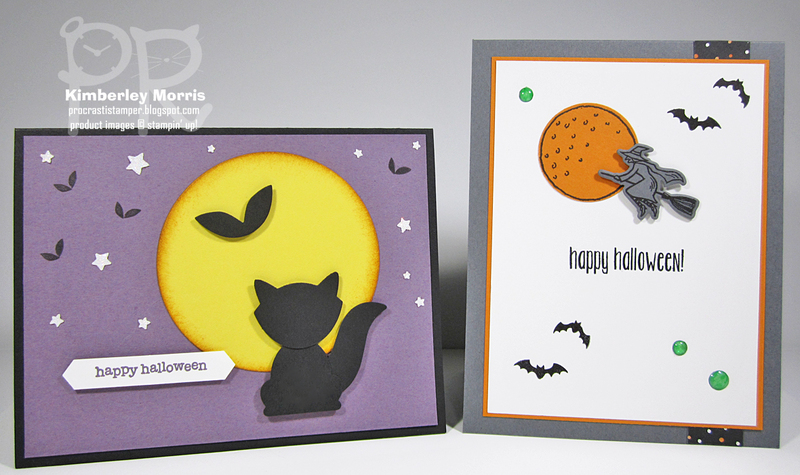 I thought you might like to see a couple of cards we're going to make at my Monthly Stamp Club Sessions on October 28th and October 29th. If you're local to Colorado Springs, there's still time to register--check that out HERE. We'll also be making some cards using the Shaving Cream Background Technique, but those cards are Top Secret ;-) (they are Fall themed, that's all I'm saying for now...) October's Stamp Club Host Code is A3DYKPPR so be sure to use that in my Online Store with your Stamp Club order. 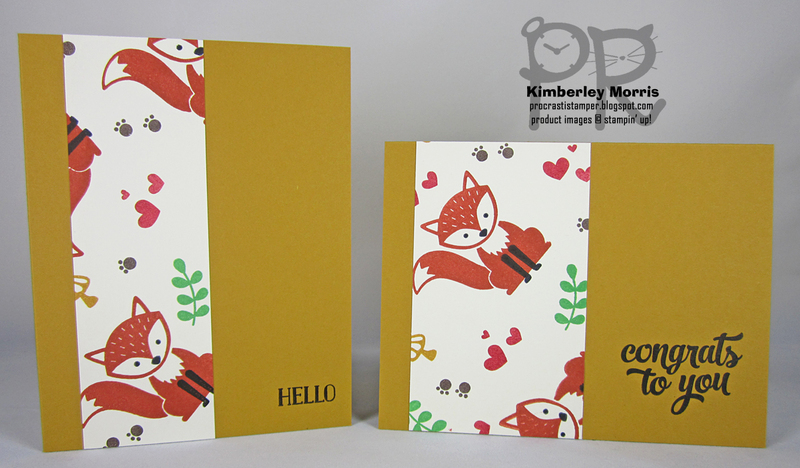 Stampin' Supplies for Cat Card: Foxy Friends stamp set + Fox Builder Punch (also available in a BUNDLE), Teeny Tiny Wishes stamp set (greeting), Basic Black card stock and ink, Perfect Plum card stock and ink, Daffodil Delight card stock, Whisper White card stock, Pumpkin Pie ink (+ Stampin' Sponge for moon), Dazzling Diamonds Glimmer Paper, Layering Circles Framelits Dies, Classic Label Punch, Confetti Stars Punch. 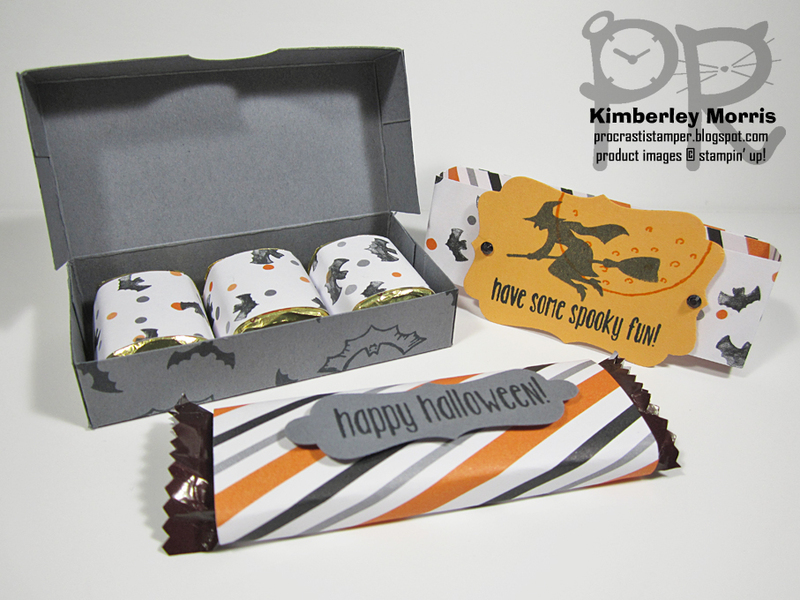 Stampin' Supplies for Witch Card: Spooky Fun stamp set, Basic Gray card stock, Pumpkin Pie card stock, Whisper White card stock, Basic Black Archival ink, Halloween Night Specialty Designer Series Paper, Halloween Scenes Edgelit Dies, 1-3/8" Circle Punch, White Perfect Accents (colored with green Sharpie). Okay, so it really should be called a "will-put-wheat-on-my" card...but I like the Star Trek reference better ;-) Honestly, I thought I already posted this card, but apparently not. I've had too many days either in pain or in la-la land on Motrin, so I really need to hit someone up in the Harry Potter kingdom for a Remembrall. Anyway, I was trying to play along with the Splitcoaststampers Falliday Fest, and have since fallen quite behind, but this was my card from one of the challenges on Day 1 (that was way back on October 9th). Stampin' Supplies: Christmas Pines stamp set, Grateful Bunch stamp set (saying), Crumb Cake card stock, Very Vanilla card stock, Soft Suede card stock and ink, Delightful Dijon ink, Petals & Paisleys Specialty Designer Series Paper, Seaside Embossing Folder (used with Big Shot), Copper Metallic Thread, Basic Pearls (colored with Bronze Sharpie to look copper). This is the second month of a BRAND NEW blog hop, and you'll get to meet more stampers from all over the world in this round! My name is Kimberley and I am in the United States, in Colorado Springs, Colorado. This month we get to share a Colour/Color Challenge ;-) We can use any or all of these colors, along with Basic Black, Whisper White and/or Very Vanilla. Then I cut this sheet according to the directions in my One Sheet Wonder Cutting Template & Card Pattern PDF, and laid them out onto 10 card bases. 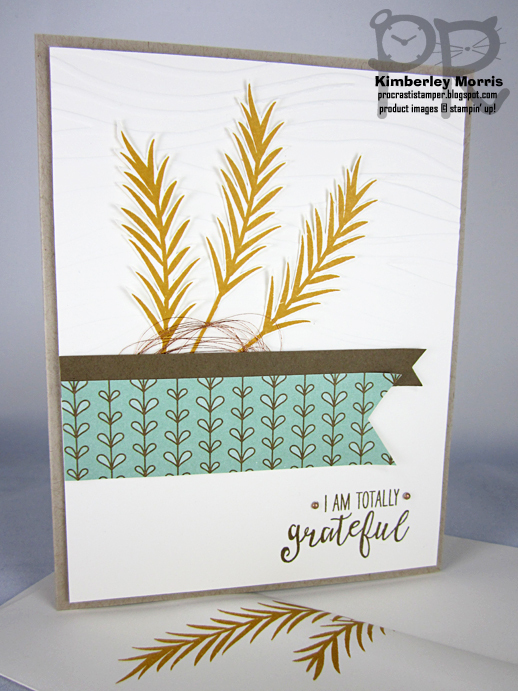 I decided to use Cajun Craze and Delightful Dijon for the bases, so I could stamp greetings on them using the Basic Black Archival ink pad. For the greetings, I used only the Tin of Cards stamp set. I might spruce up these cards later with bits of bling here and there, but for now I wanted to keep them simple to show how quickly you can create a handful of cards. I *never* would have put all these colors together on my own, so this really was a challenge for me. 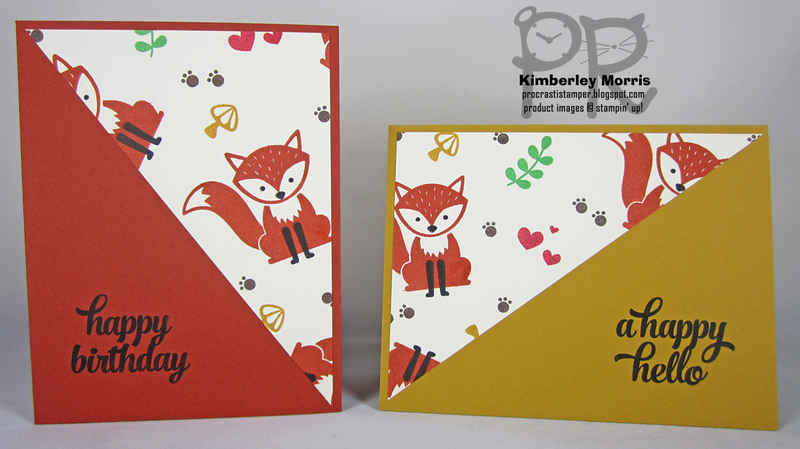 I think this set of cards certainly gives you a good idea of the versatility of the Foxy Friends stamp set. 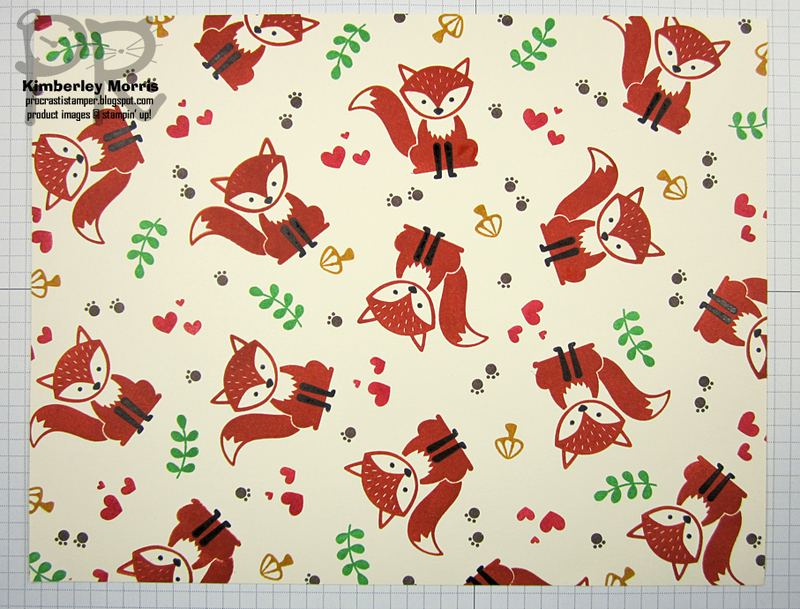 I might have to make another patterned sheet using the fox only with Cucumber Crush and Real Red for some super adorable Christmas cards! Click the Next or Previous arrow below to find more colorful projects around the world! Welcome to the October 2016 Edition of the We Create Bloggers Step It Up Blog Hop! 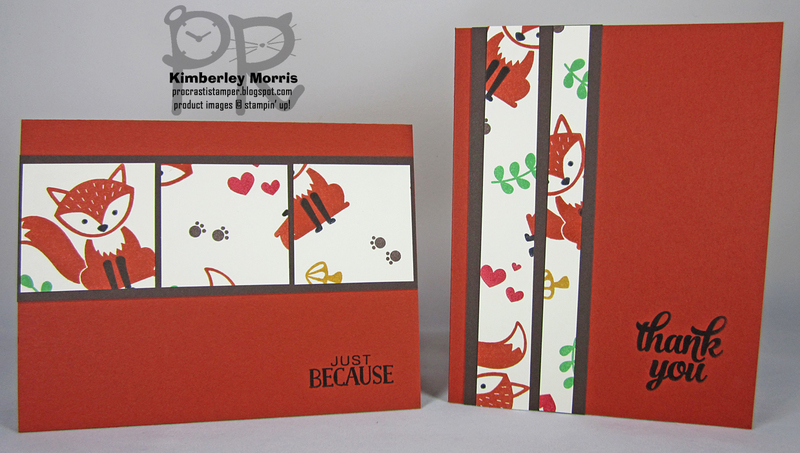 The theme is to inspire stampers with a basic design, and at least one alternate "stepped up" version of that same design. 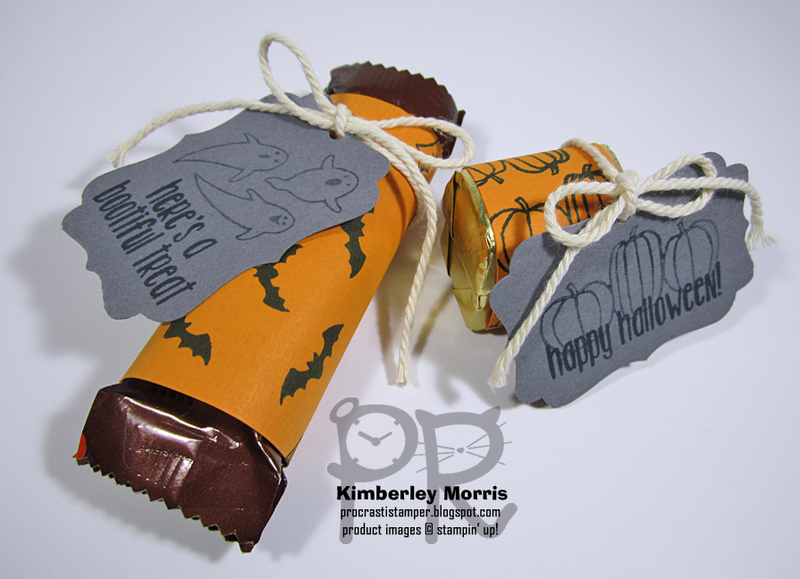 This month I created a basic design with the Spooky Fun stamp set to hold Halloween treats, trying to keep it simple. Check out my basic design below, along with a side view. There are 2 snack size Heath bars in the wrap on the left, and 2 Hershey Nuggets in the little wrap on the right. 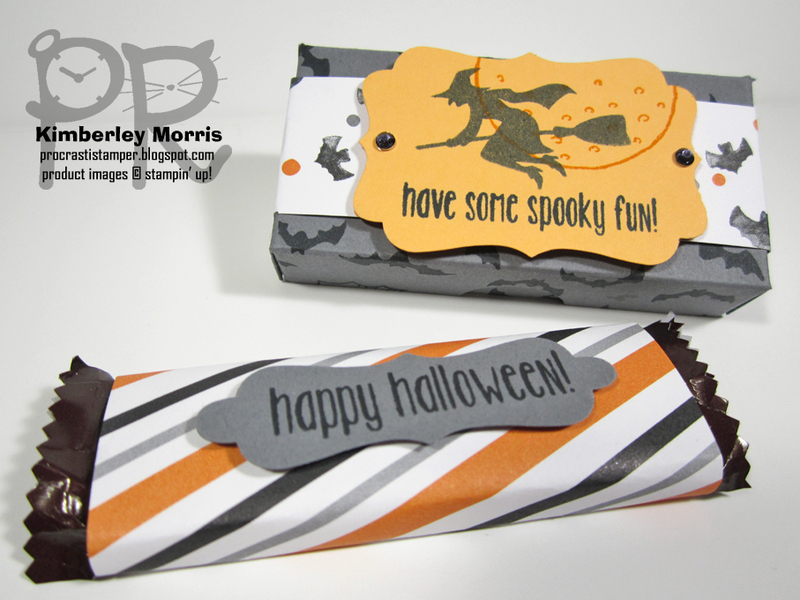 Stampin' Supplies: Spooky Fun stamp set, Pumpkin Pie Card Stock, Basic Gray Card Stock, Memento Tuxedo Black ink pad (stamped off once for the lighter images), Very Vanilla Thick Baker's Twine, 1/8" Circle/Hole Punch, Decorative Label Punch. Stampin' Supplies: Spooky Fun stamp set, Halloween Night Specialty Designer Series Paper, Peekaboo Peach Card Stock, Basic Gray Card Stock, Pumpkin Pie ink pad (for the moon), Basic Gray Archival Pad (for the witch), Memento Tuxedo Black ink pad (stamped off once for the lighter images), Decorative Label Punch, Basic Rhinestones (colored with black Sharpie), 3/4" Circle Punch (for the thumb cutout on the box lid). By the way, the Spooky Fun stamp set also comes in a BUNDLE, with some amazingly darling Halloween Scenes Edgelits, with dies to cut out the witch, gravestones, pumpkins, and the big bat...and Edgelits, to cut out a fence, and a gnarly, spooky tree!